Tighten the cap properly and Keep the product in dry place. Avoid using wet scoop or spoon. MyFitFuel Trusted By 1;00;000+ Happy Customers. 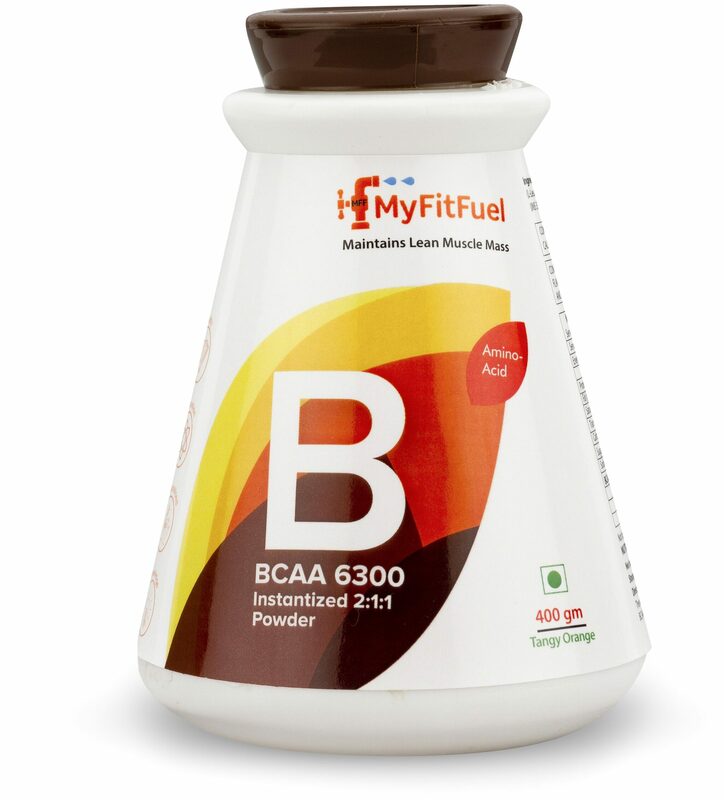 MFFTM BCAA 6300 is very pure form of Branched chain amino acid found in the market today. Keeping the quality standards high;every 5gm serving of MFFTM BCAA 5000 provides 3 essential amino acids Leucine (3160 mg);Iso-Leucine (1570 mg) and Valine (1570 mg). These amino acids are not synthesised by our body making them essential to be consumed additionally to achieve better muscle building goals. What is BCAA? Branched chain amino acids also commonly known as BCAA are made up there amino acids Leucine;Iso-Leucine and Valine. BCAA is very commonly used to bring better potential effects during anti-catabolic (preventing muscle breakdown) and anabolic (muscle building) stages. The proven 2:1:1 ration contains higher percentage of Leucine which helps in better protein synthesis of muscles helping you achieve better quality muscle building. Muscle Mass Growth = Rate of Protein Synthesis Rate of Protein Breakdown. What are the Benefits of taking BCAA? • Increases protein synthesis helping to trigger muscle growth. • Helps in maintenance of Lean Muscle Mass during rest period. • Enhances fat burning process as leucine increases fat oxidization and energy expenditure process where as isoleucine improves tolerance of glucose in body. • Helps in improving neuromuscular adaptations which enhances strength development from training. • Decreases body fatigue and enhances endurance performance. • Prevents muscle loss during intense or long duration workouts.